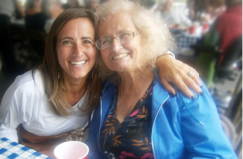 Glenwell offers more than assisted living services, we offer a lifestyle for your future. We strive to enhance each resident’s quality of life by providing interactive social activities, a supportive and caring staff and personal care services that promote independence and dignity. Glenwell offers a personalized approach to delivering support and services while encouraging family members to be actively involved in the care of their loved ones. Glenwell is licensed by the New York State Department of Health. Inquire about our secure-stay and fixed-rate guarantee! 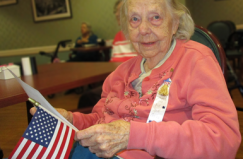 Veterans Day was filled with ceremony and celebration as Glenwell, a DePaul Senior Living Community in Cheektowaga, paid tribute to the six veterans in their community. 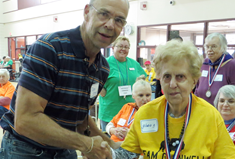 Residents of Glenwell, a DePaul Senior Living Community in Cheektowaga, competed in the 11th Annual DePaul Senior Olympics on Friday, October 19 at DePaul’s Recreation Center located at 1931 Buffalo Road in Rochester. Good spirits, festive entertainment and over 100 friends, family and residents from Glenwell, a DePaul Senior Living Community in Cheektowaga, made this year’s Oktoberfest celebration unforgettable! Discover the value at Glenwell!